If you have a Facebook account, you can set up a photos folder that you can link to your Lumin Supporters App. 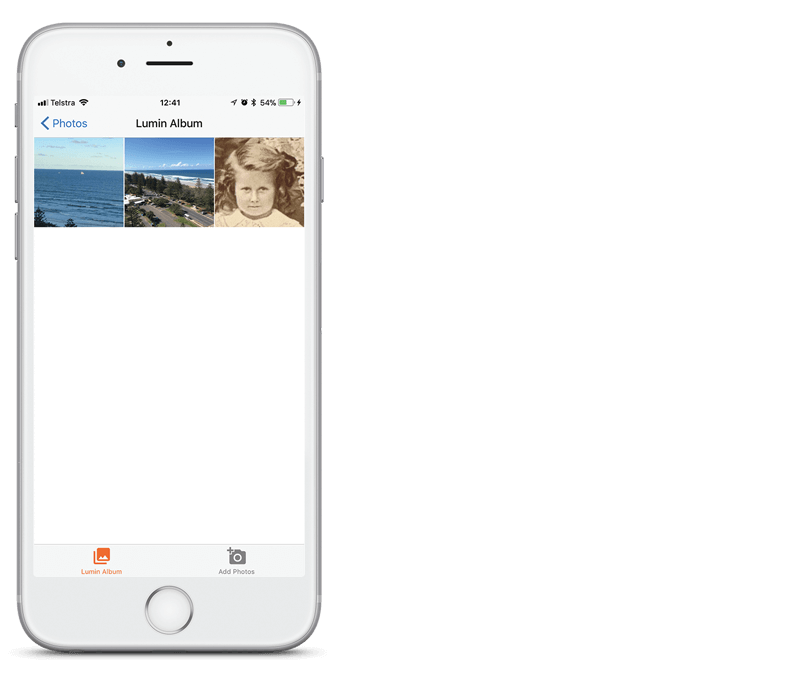 All photos placed in this shared folder will be shown in your loved one's Lumin Screen Photos. You will be asked to link your Facebook account to Lumin. Follow the steps. Once linked, you will see all the photo albums available on your Facebook account. Tap on the switch button to add the Facebook folders you'd like to push to the Lumin Screen. It will take a few minutes for the photos to appear on the Lumin screen as the screen needs to be online and check into the server.